Invest in good times the week leading up to the Big Game Day - February 4, 2018, at the closest rental to the Vikings stadium. Located two blocks from the action, Day Block is your closest, go-to building. It's the perfect location to book that pre-game, corporate or celebration space in Minneapolis. The building consists of three floors – a brewery, event center and agency – all available for rent together or separately. A scratch-kitchen and locally-brewed beer are just two benefits that our in-house catering service and brewery can offer. Convince and location, the solution to all your Big Game Day needs. Interested in learning more about our 3 unique spaces for your next memorable event? Call (612)-333-2606 or contact us online today ! Are you ready to invest in good times? Check out how our building can benefit you. Our trendy, modern tap room and dining area offer the casual setting of a brewery. This floor’s complete with a scratch-kitchen that sources fresh, local ingredients and 16 taps to pour that delicious brewed beer. Venture up a floor and you will find Day Block Event Center - closest event center to the Vikings Stadium! 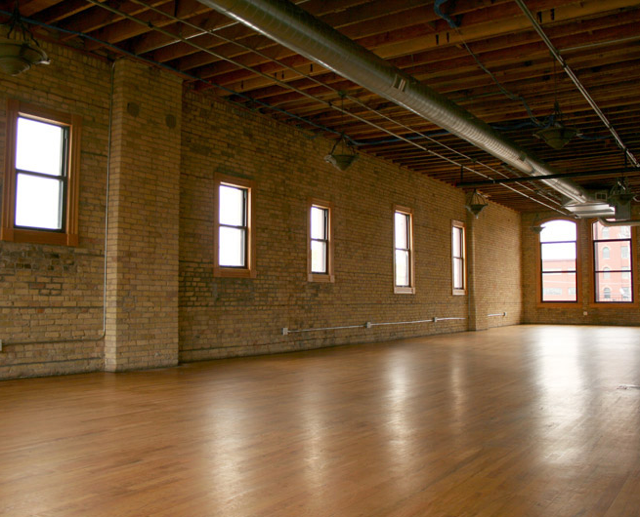 This floor offers two open concept spaces professionally equip with all your event needs. In the past, corporate events, conferences, fashion shows and more have all successfully utilized this event space. The convenience of having an in-house catering service is just one of the many benefits this floor can offer. Room Setup: projector, Wi-Fi, tables, chairs, AV and a patio facing stadium. The perfect office space for your game week reporting or celebration! 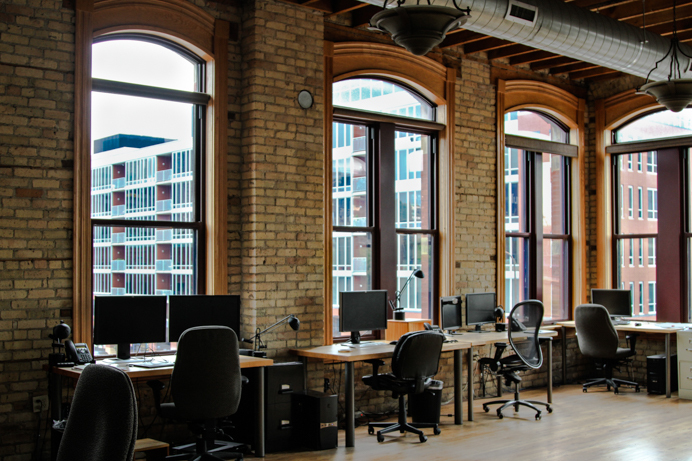 Resided on the top level of the building, this agency allows a setup that cannot be beat. With two conference rooms, one private office, three communal areas & kitchenette – Internet Exposure is the perfect collaboration floor. Catering for all your Big Game Day needs. And crazy good beer & pizza is the perfect fuel. 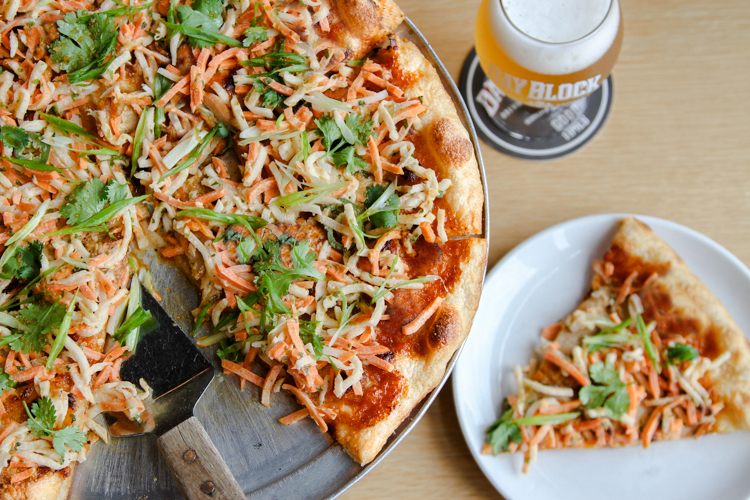 Our signature brews and scratch-kitchen are all-available without having to leave the building. Because it’s time to face it – downtown Minneapolis is going to be a secure & gated off area on February 4, 2018. Let us help avoid unwanted lines, security checkpoints and travel with our all-in-one packages! Are you ready to invest in good times, have further questions on event rentals or simply want to take a tour? We want to hear from you.